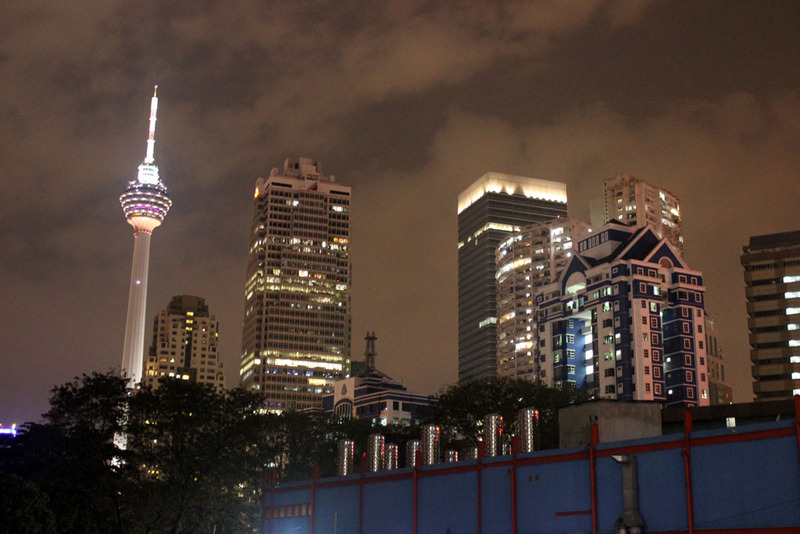 KL…glorious KL! 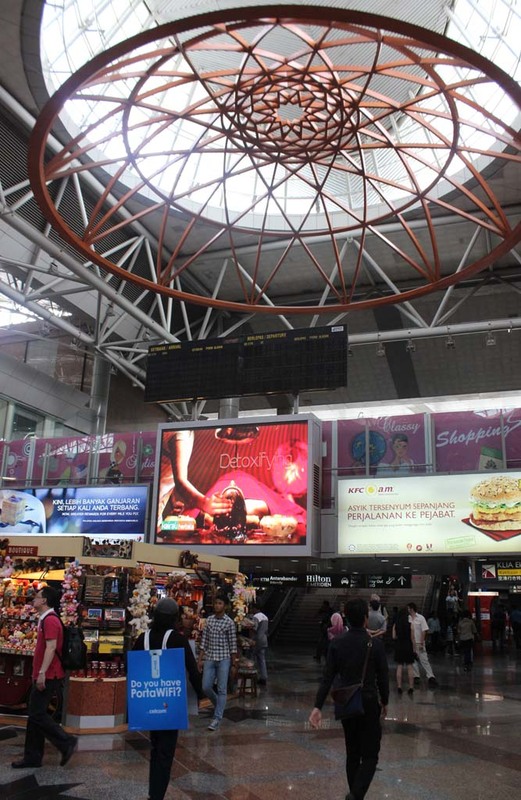 That’s what pop up on my mind, once we left the airport terminal building. 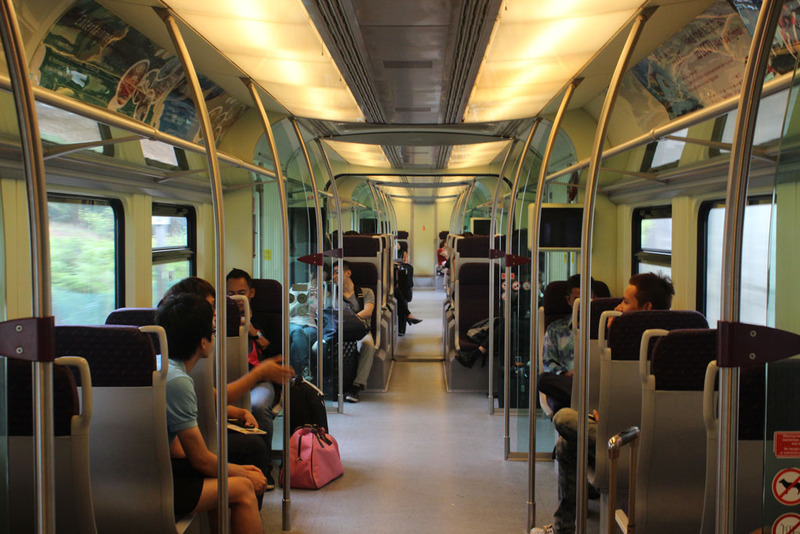 We already purchased the ERL airport train ticket. 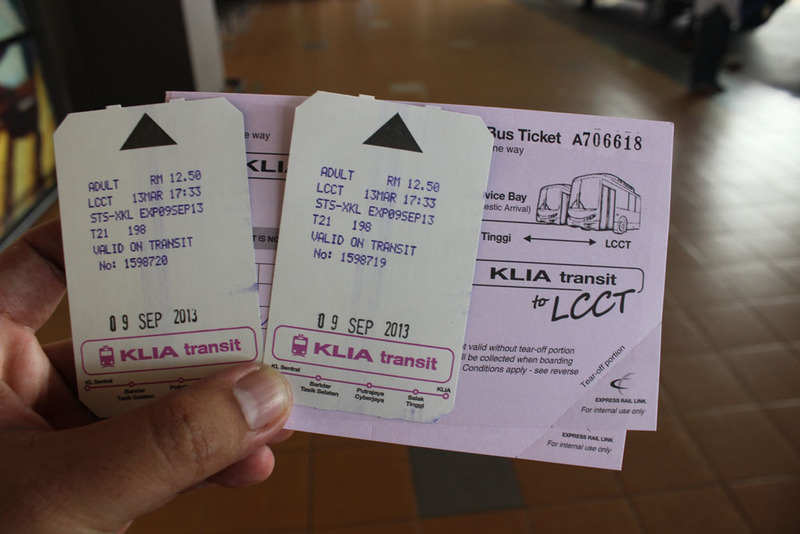 Since there is no airport railway station at LCCT, the train ticket includes the bus ticket as well. All came in one price: RM 12.50. 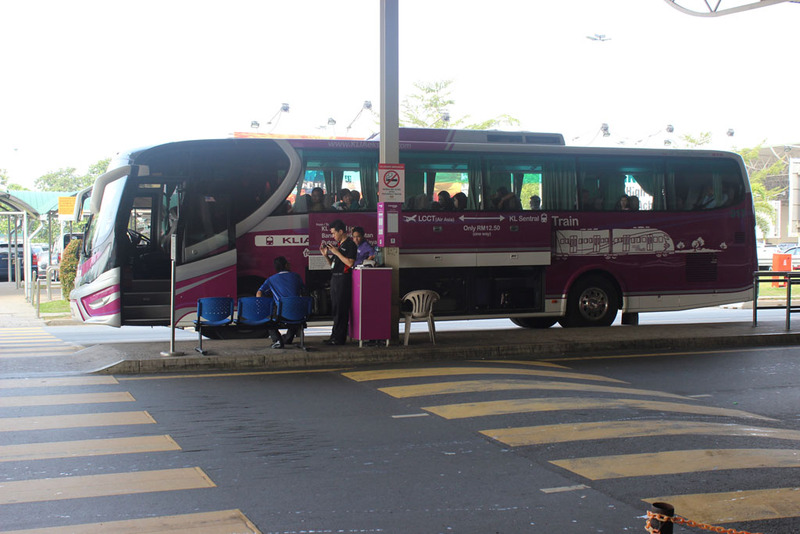 There is our bus. Quite an impressive bus anyway. 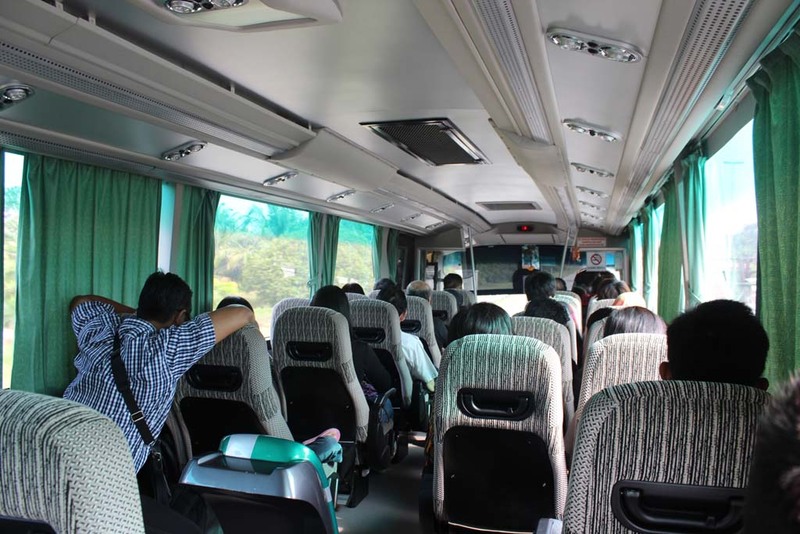 This bus is very comfortable. Strangely, it doesn’t include rear door. 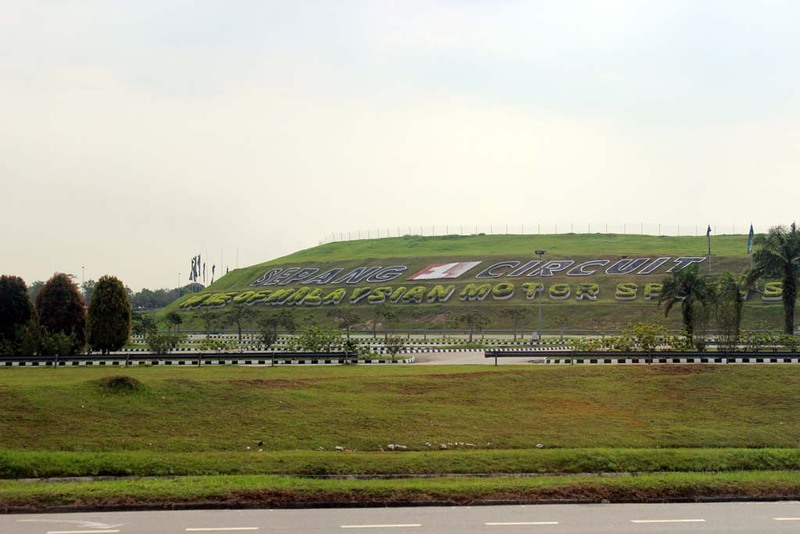 Along the way, I catch the glimpse of the famed Sepang F1 circuit. 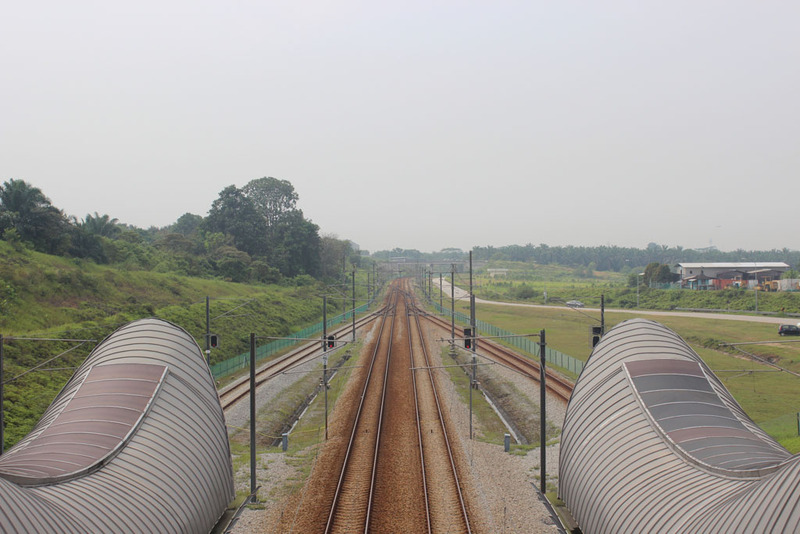 After some minutes of traveling we finally came across railway track, under the highway overpass. 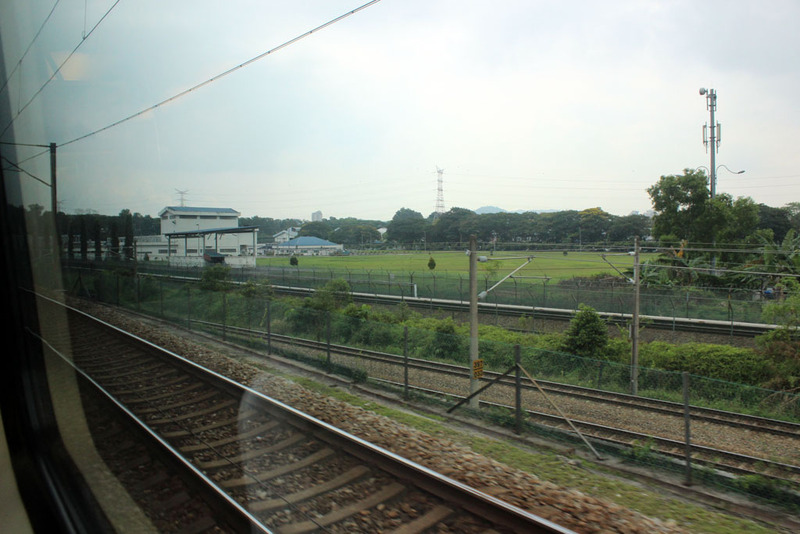 Unlike the KTM’s mainline, this one is a standard gauge high speed line, operated by Express Railway Link. 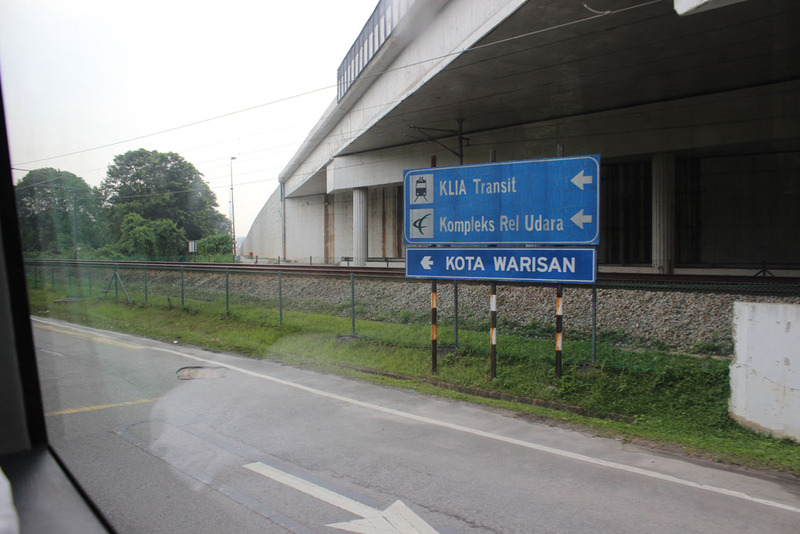 That’s our bus destination: Salak Tinggi railway station. 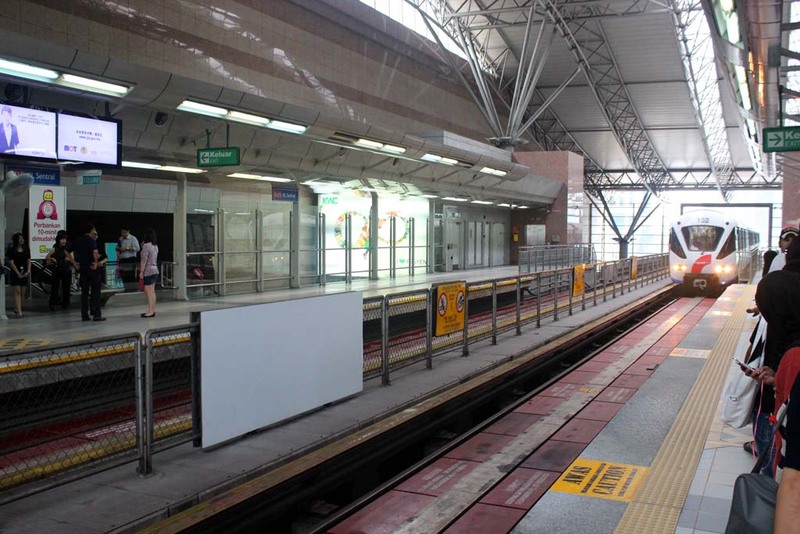 Although still quite new, this station already underwent minor modification. 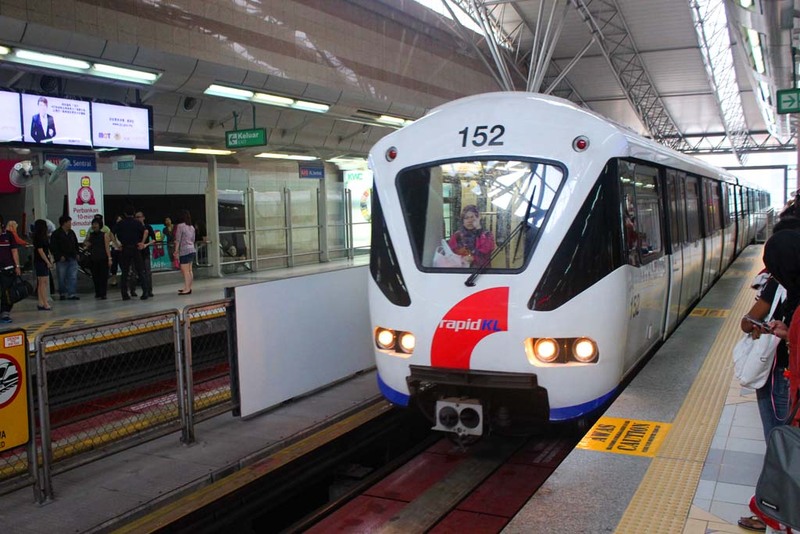 The new ticket barrier reminds me of the new RapidKL ticket barrier. 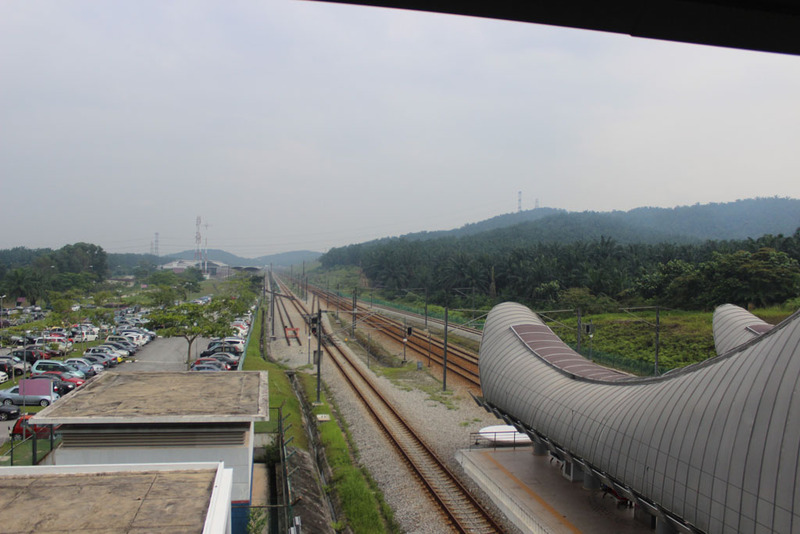 From the top of the bridge, I could see the railway track, as well as the ERL depot nearby. 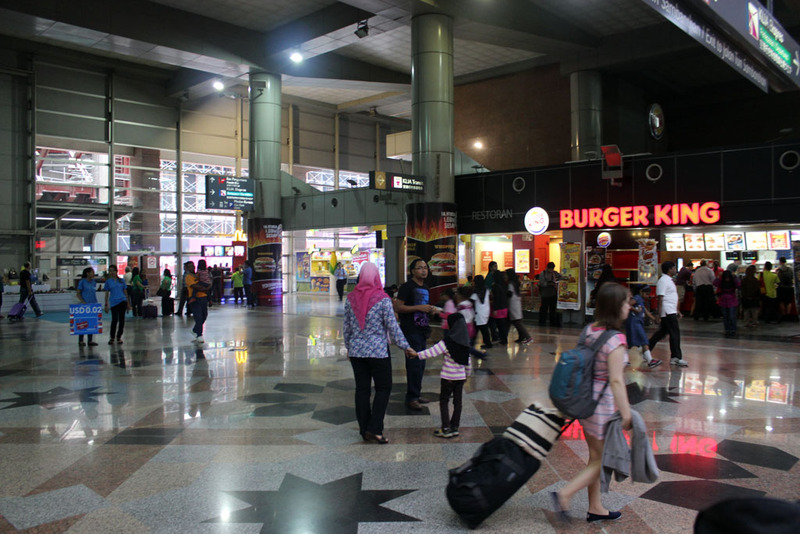 I also catch the KLIA Express train. 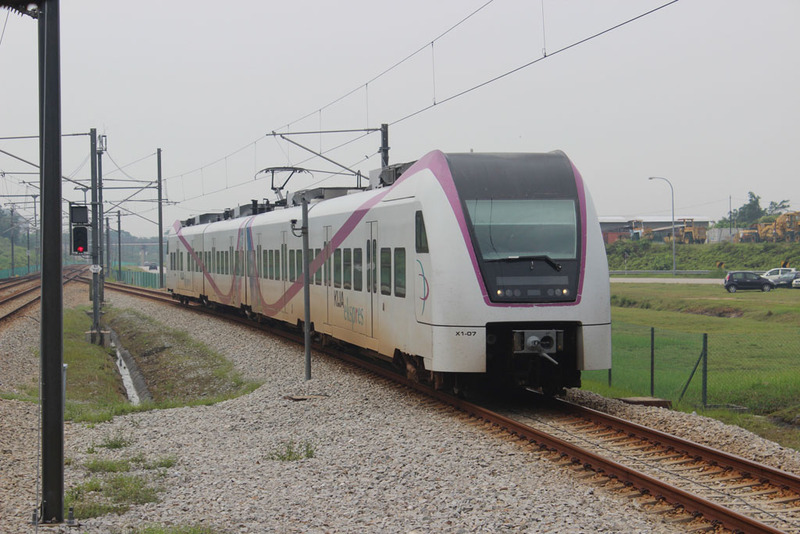 With the top speed of 160 km/hour, it is currently the fastest train in Malaysia, if not in South East Asia. 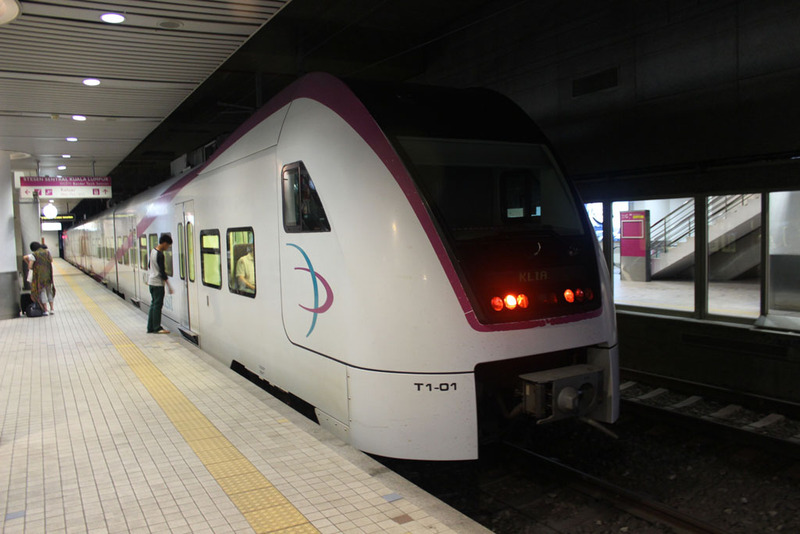 Our train finally arrived at the station. 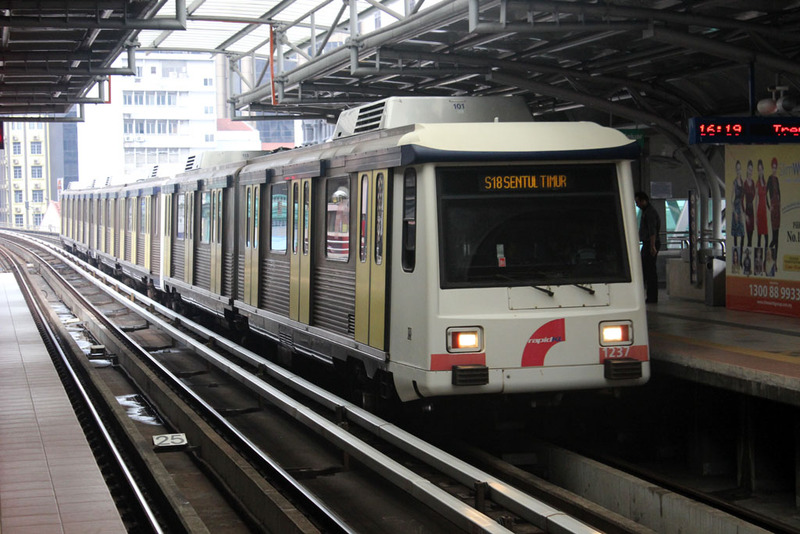 It is identical with the previous train, unless this one stop at every stations. 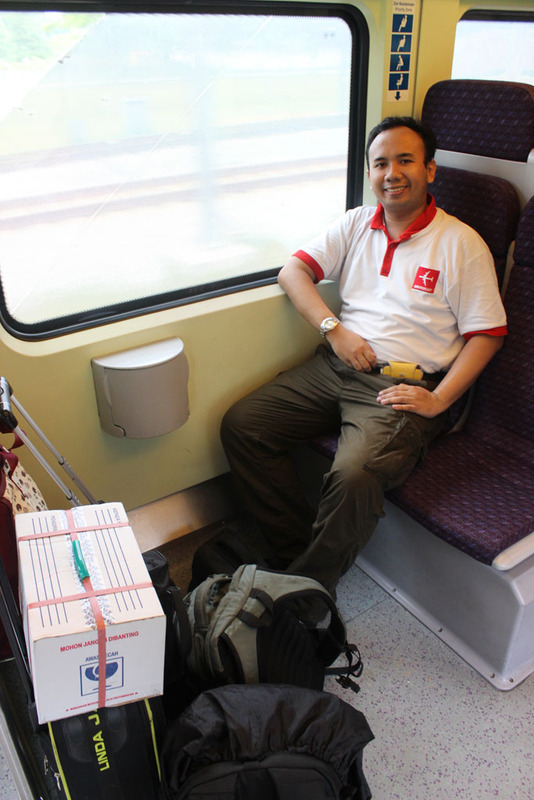 Still, I felt very comfortable riding this train. The ride was very smooth. 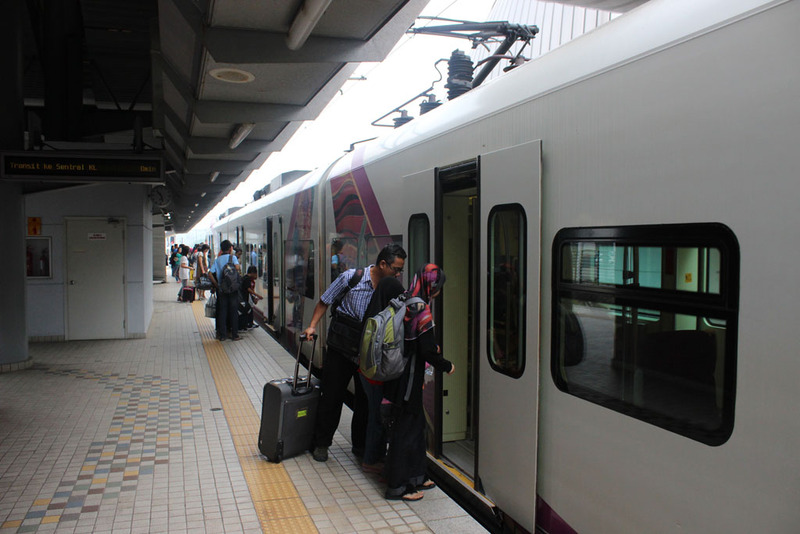 Some people using the train as commuter train, especially those who worked or lives at Putrajaya or Salak Tinggi. 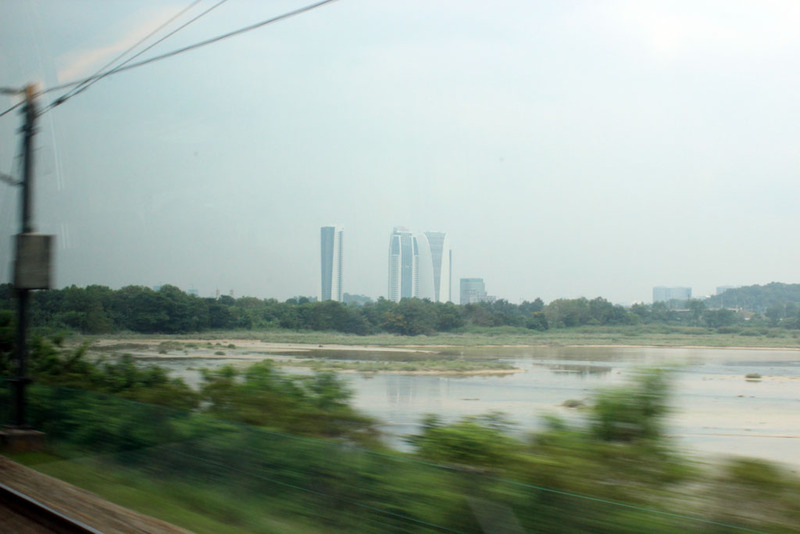 Amidst the virgin greenery, I catch the glimpse of high rise buildings at Putrajaya. 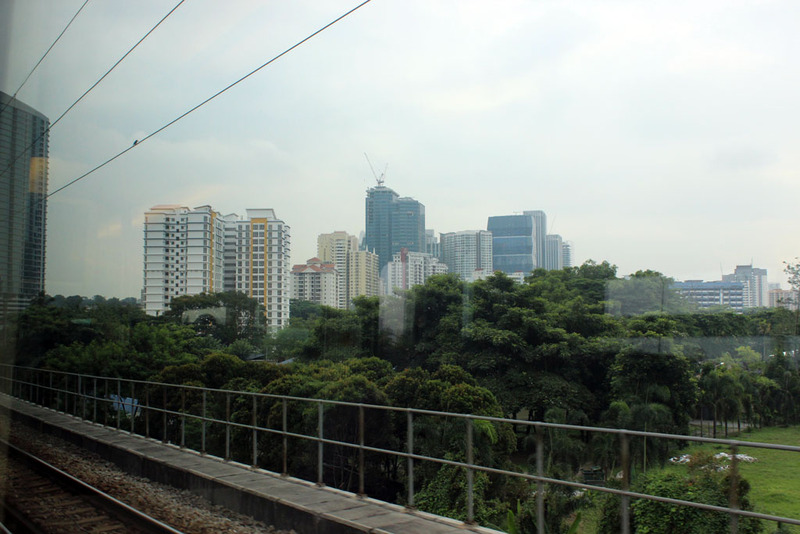 It is the first “major city” that we encountered along the way. 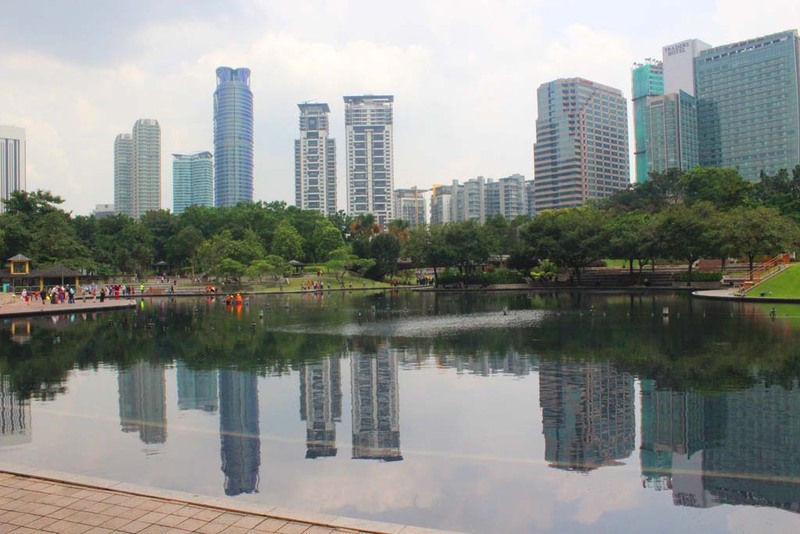 To call Putrajaya as a “major city” is quite an overstatement. 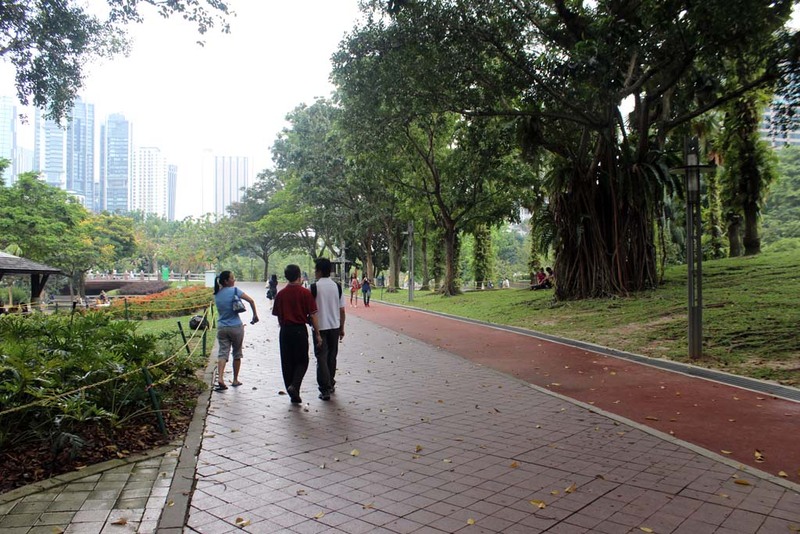 I later found out that despite the presence of high rises and big buildings, the city barely has commerce center. It is mainly used for government and bureaucrats. 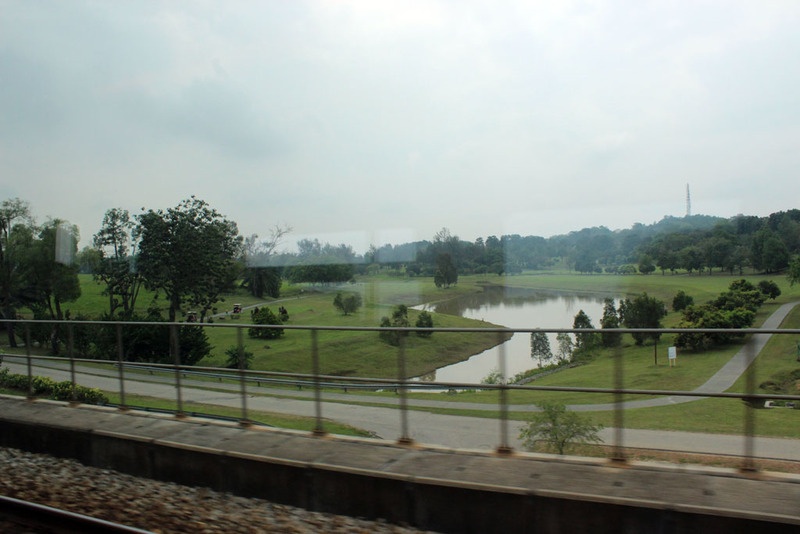 As we got nearer to Kuala Lumpur, I spotted this one. Apparently three networks co-joined together to make one line. 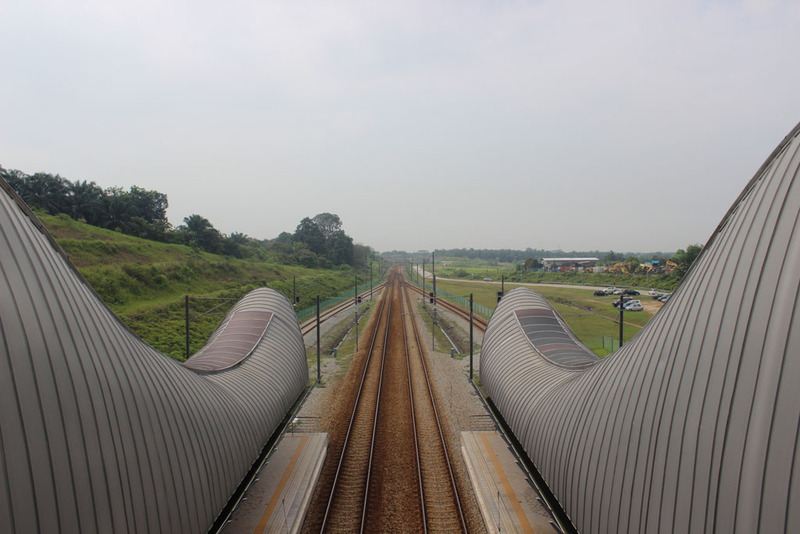 The tracks in the middle belonged to KTM, while to furthest tracks is the LRT track. 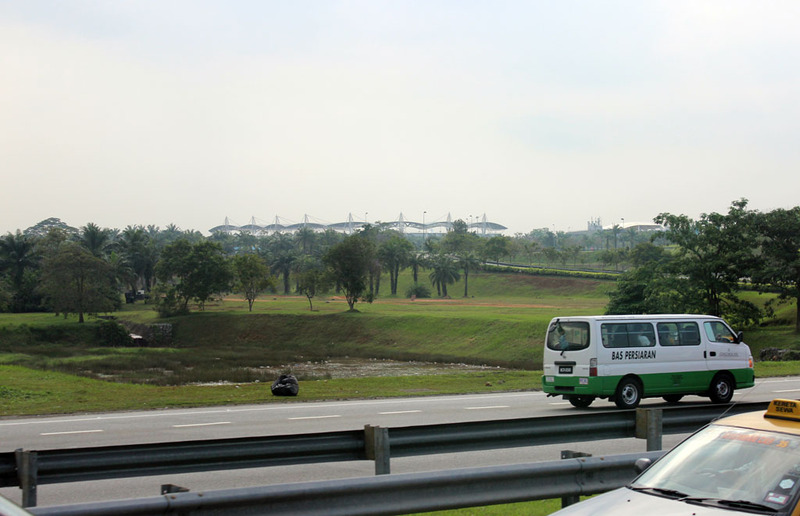 I also caught the glimpse of Sungei Besi airport, the very first airport in Kuala Lumpur. 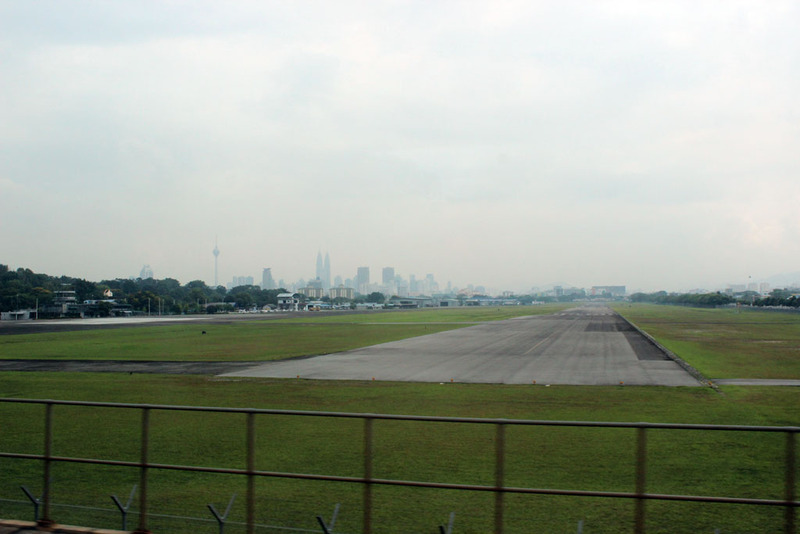 This airport is the oldest airport in Kuala Lumpur, and it was once the only mean of going in and out of KL by air, before the Subang airport in Shah Alam was opened (itself have been replaced by KLIA Sepang airport). 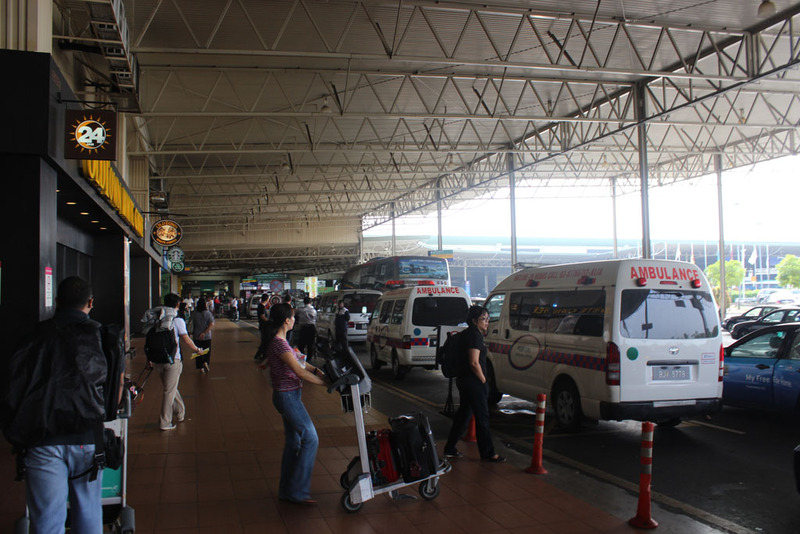 We finally arrived at Kuala Lumpur. 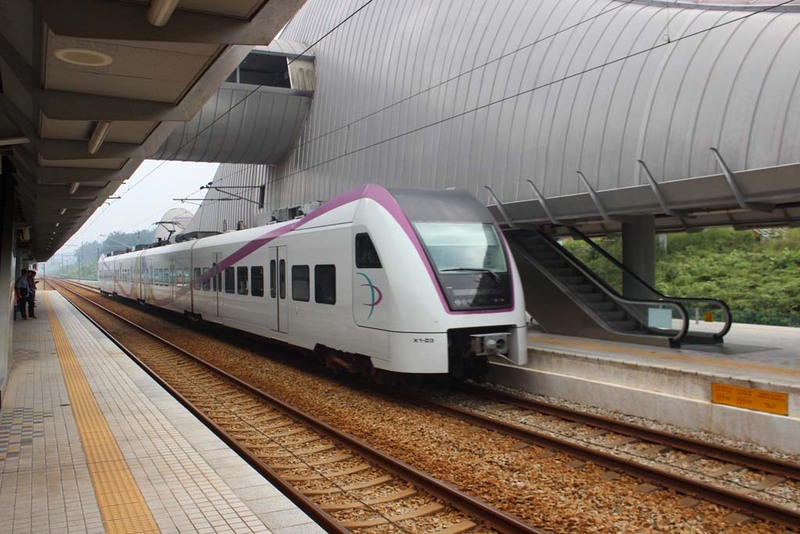 And we debarked our train at KL Sentral, the terminus of this ERL train. 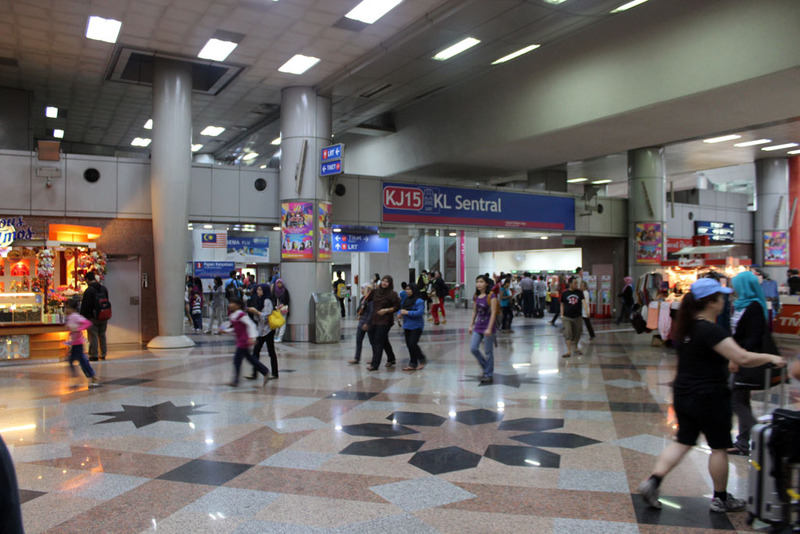 KL Sentral is still an impressive railway station, as it successfully combined railway station and shopping center. But I have to admit that this station already showing signs of decay, as it no longer as glitzy as I first saw it in 2004. 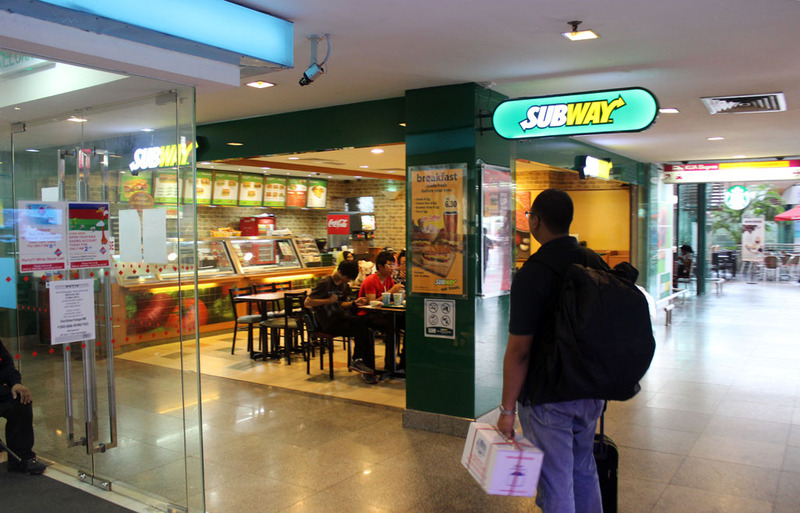 The first thing that I want to do was to eat Subway! 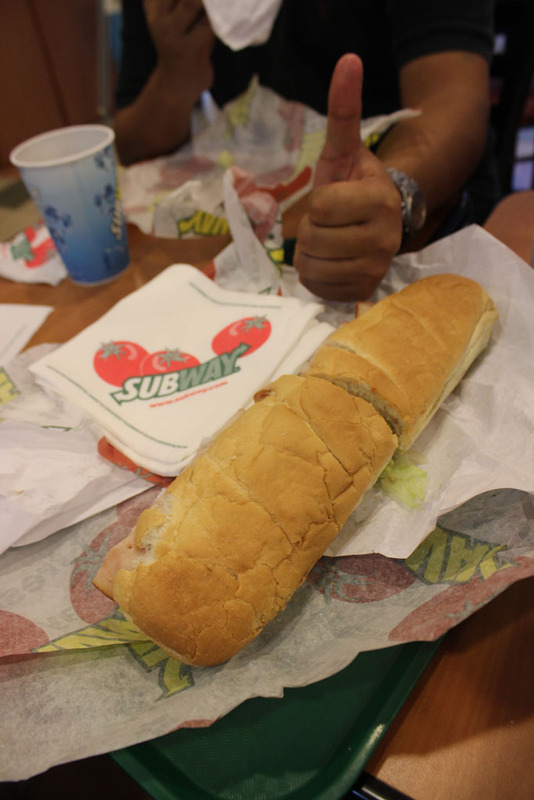 I ordered the footlong one. Ordering them can be quite confusing, especially when compared to McDonalds. Yup, the meal really makes me happy. After we finished our meal we headed to our hotel. 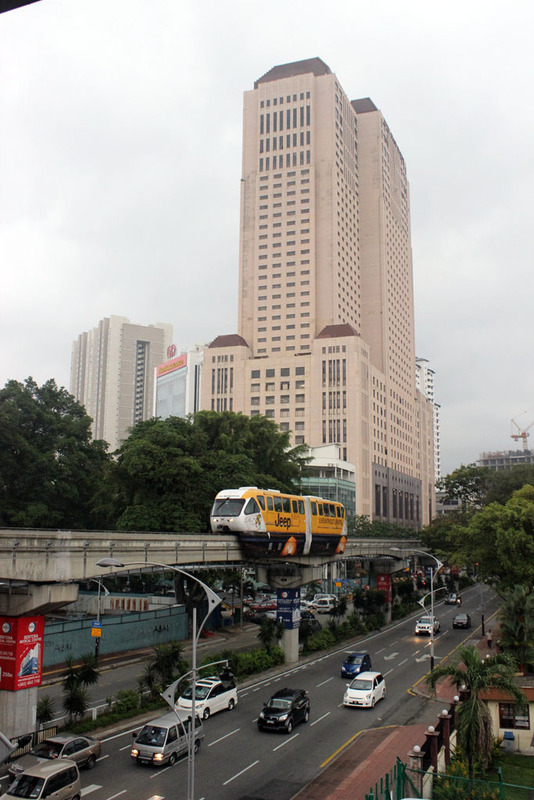 Since we must take the monorail (which is located on the outside of station premises) we had to walk quite a long way to there. 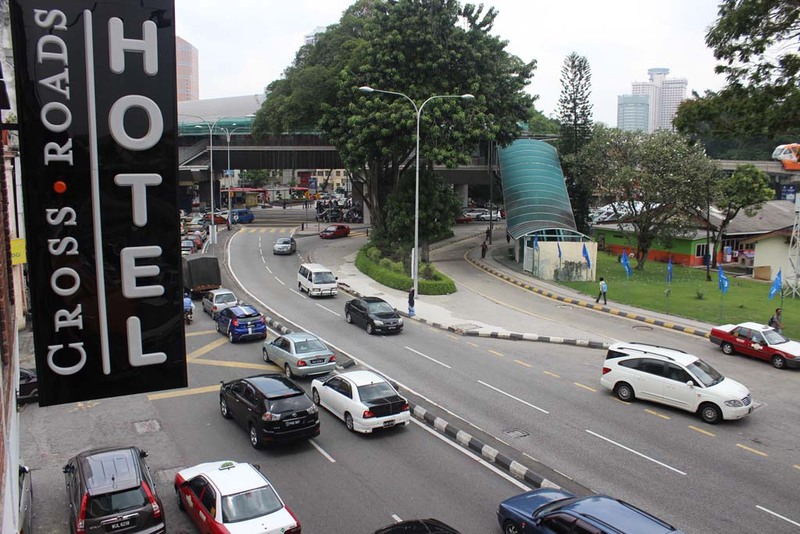 The street in front of KL Sentral station. 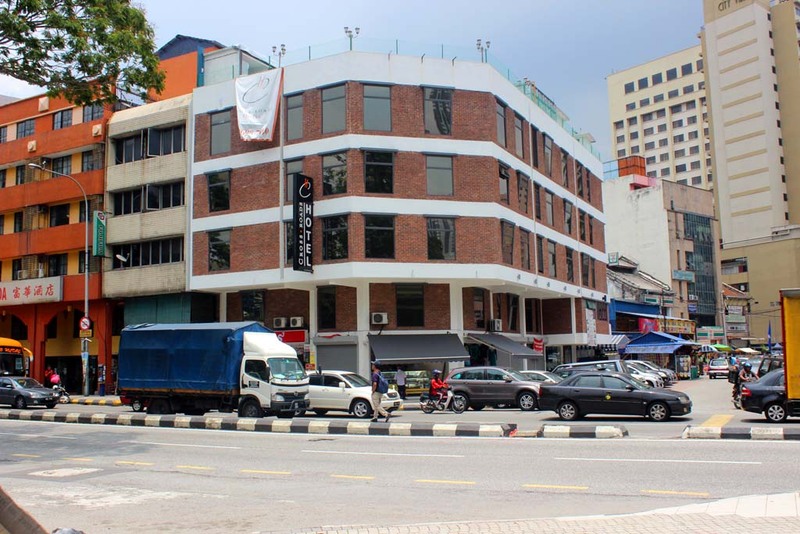 The building on the right is built on the former site of KL Sentral car park. 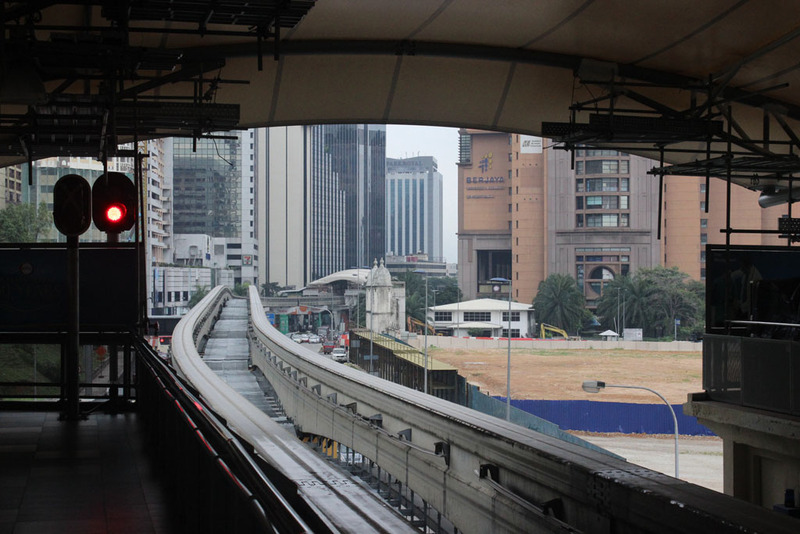 I remember when I lived in Kuala Lumpur in 2004, I used to walk along its sheltered pathway to catch the monorail. Sometime they would held some exhibition in the car park. 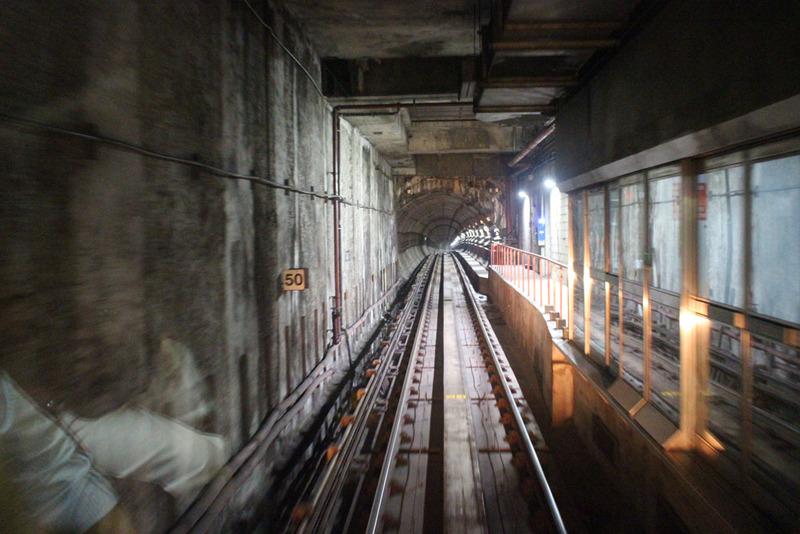 But since the construction work, we had to take a long detour around the construction site. I didn’t take the pictures along the way. 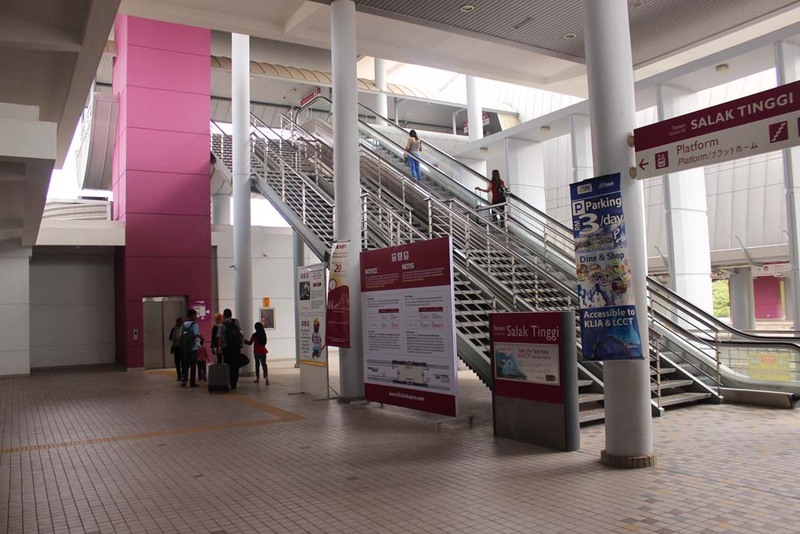 But when we arrived at Chow Kit, we briefly got lost as we had some difficulties in finding our hotel. Although we eventually found our hotel’s building, we still made one small error, where we entered the lobby of another hotel! Only after we were directed by one security guard that we were eventually able to made it into our hotel. 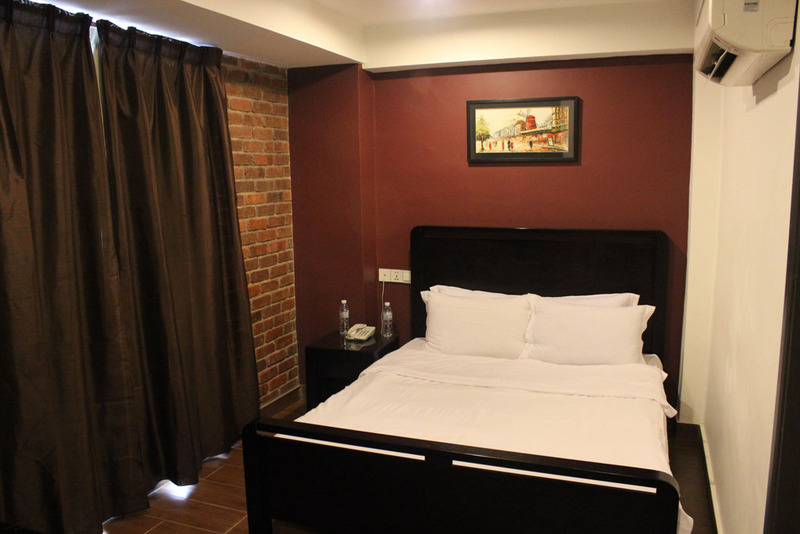 The hotel is a nice budget hotel which is located in one corner of Chow Kit area. Once we checked in into our hotel, we took some brief rest in our hotel room. 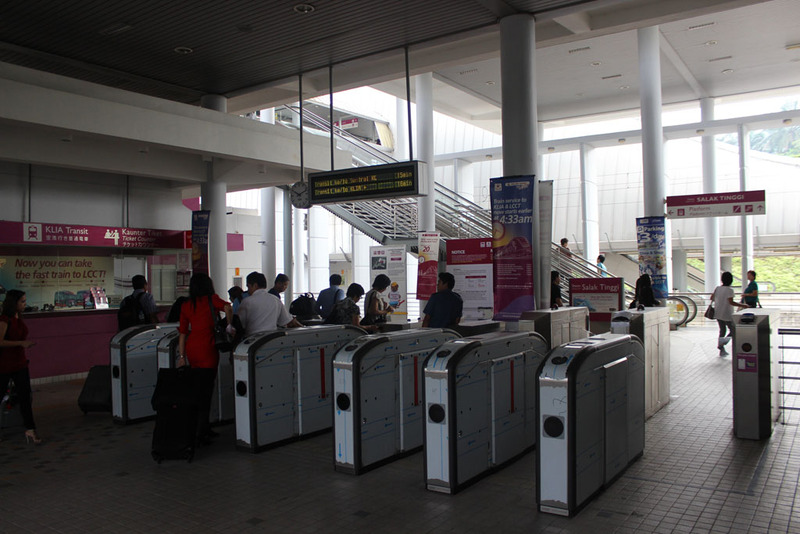 Only then I began to realize one thing: I forgot to buy the train ticket to Singapore! 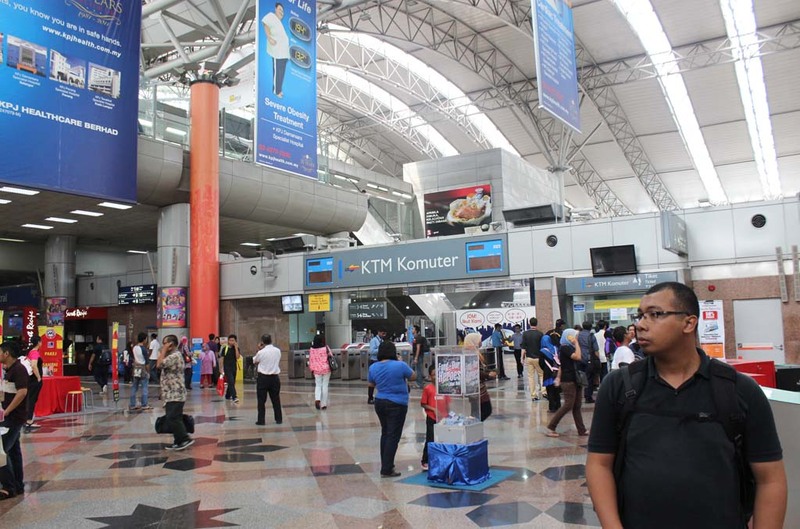 We then rushed ourselves to go back to KL Sentral station, where we bought our train ticket to Singapore for the following day. 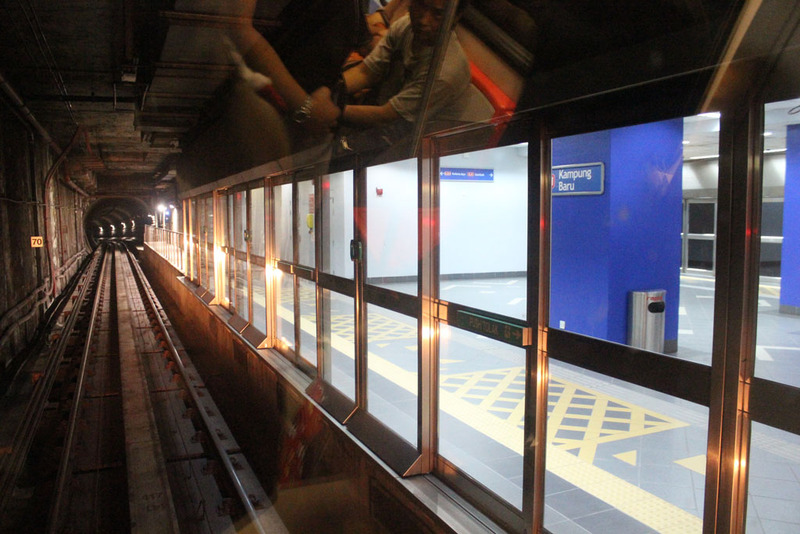 From KL Sentral we took the driverless LRT train to KLCC Petronas. 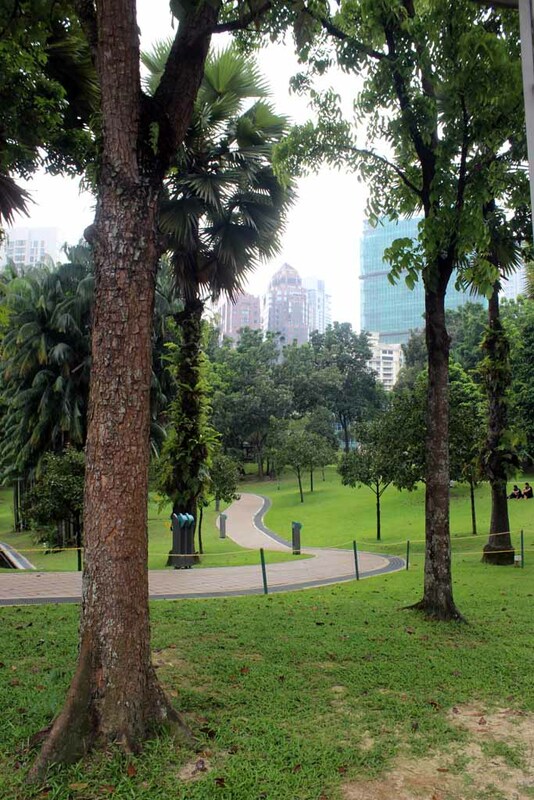 Once we arrived at KLCC we bought some provision for the following day, and relaxing at the garden behind KLCC. I do really admiring the landscaping work of this garden. 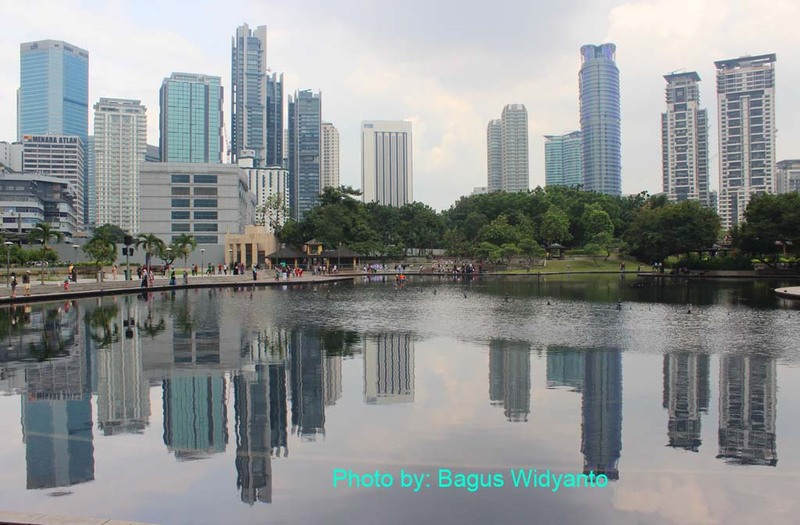 The good thing about this garden is that you can see the Petronas twin towers easily. 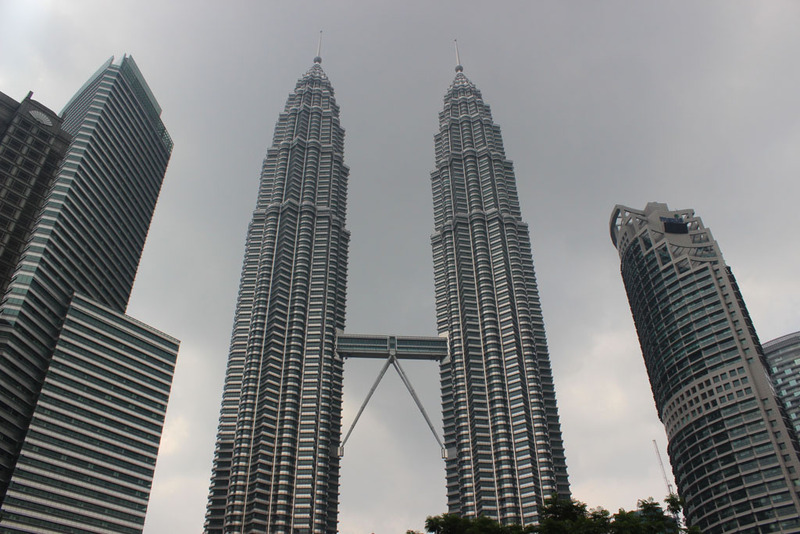 After we finish the photo session around KLCC, we headed back to our hotel. 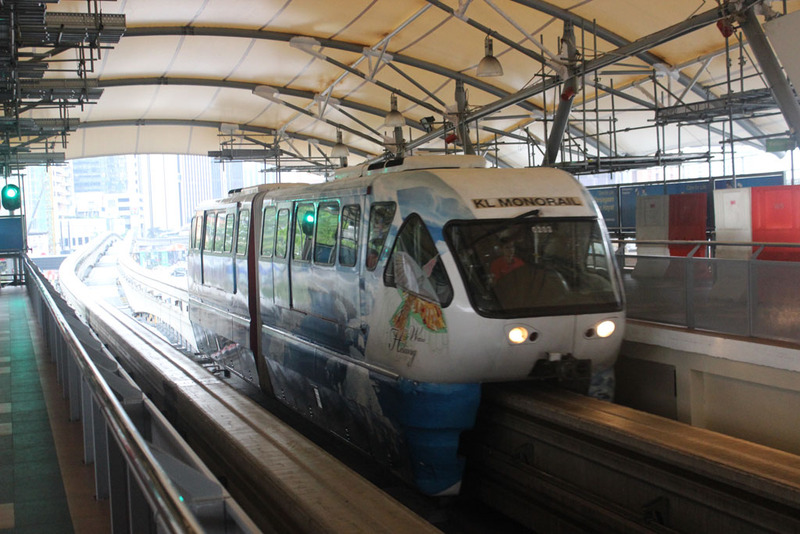 However, the trip from KLCC to our hotel took some circuitous route, where we must take the Putra driverless LRT to Masjid Jamek, and from there we catch the STAR LRT to Hang Tuah, and from Hang Tuah we interchanged to monorail, which will take us to Chow Kit. 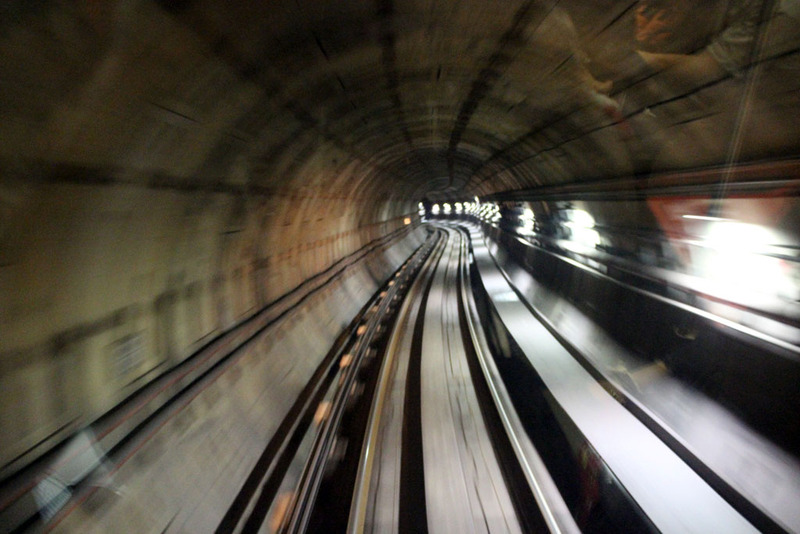 I took some photos of the view ahead our train from the window. 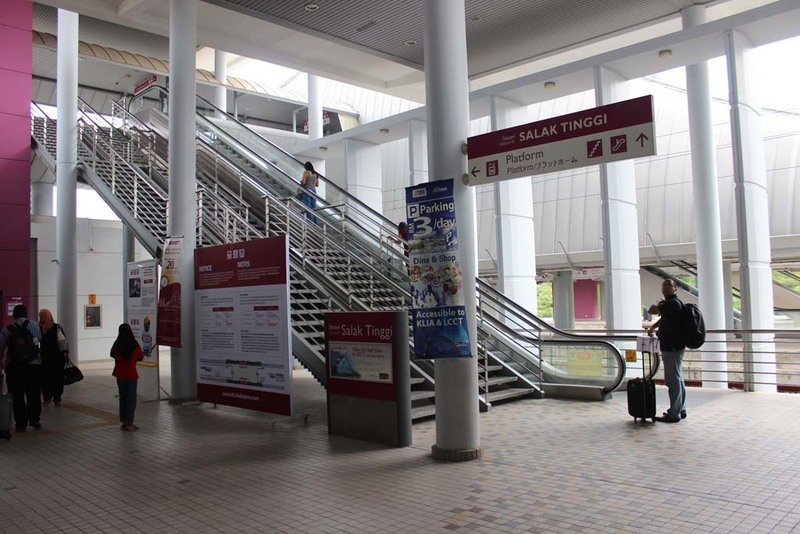 Then at Masjid Jamek, we took STAR LRT to Hang Tuah. 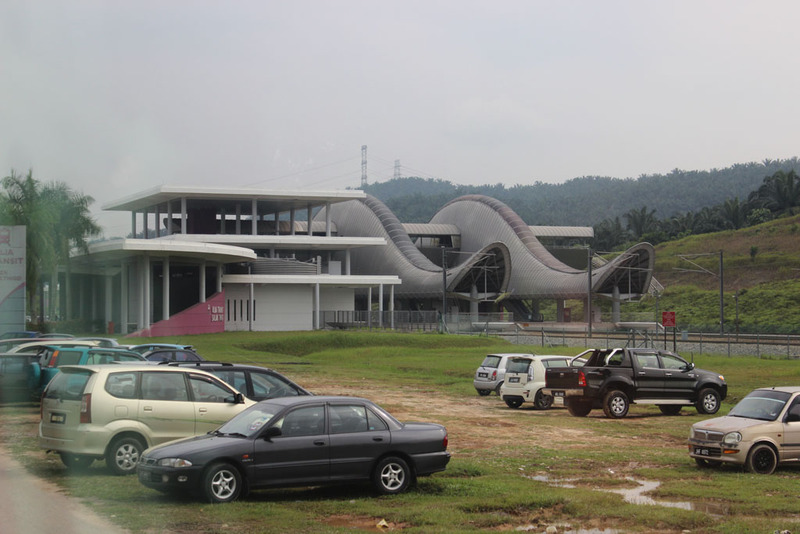 At Hang Tuah monorail station, I could clearly see that the historic Pudu prison complex had been leveled. 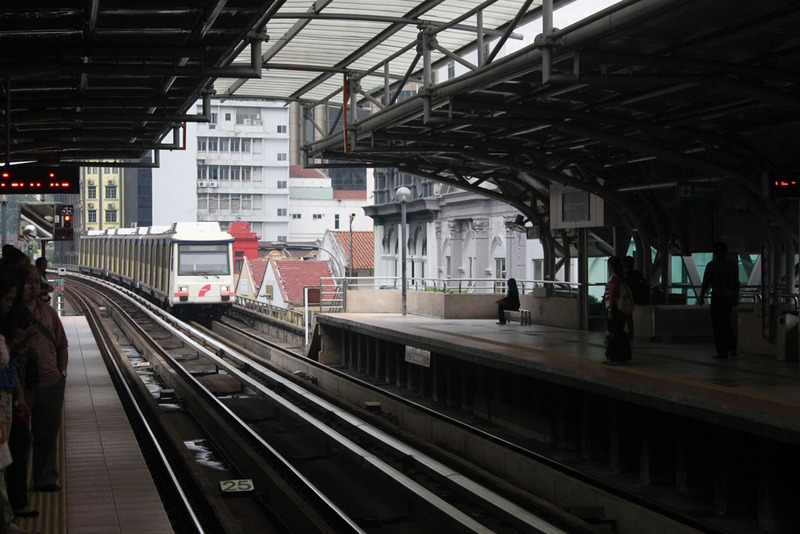 Once we arrived at Chow Kit, I took one interesting photo, that showing the advantage of rail based city-transportation over road based one, where it doesn’t get affected by traffic jam below. 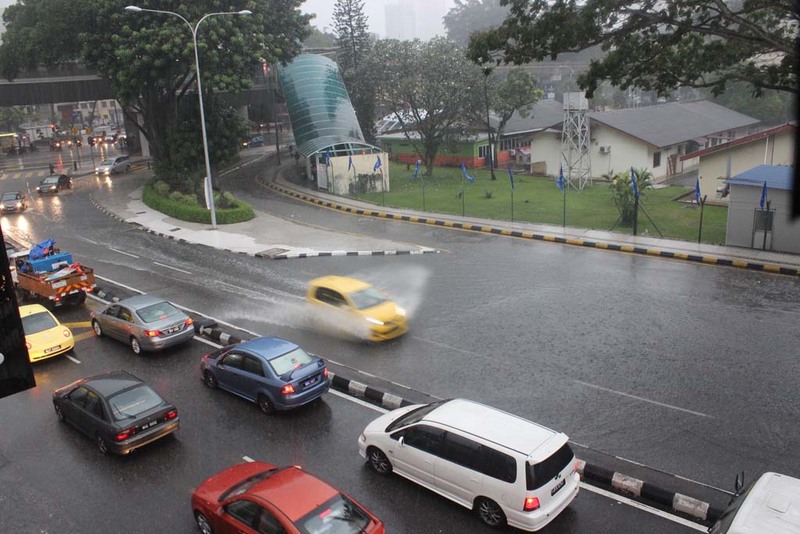 After we returned back to our room, I was quite surprised on the amount of rains that could caused the road in front of our hotel to get flooded. 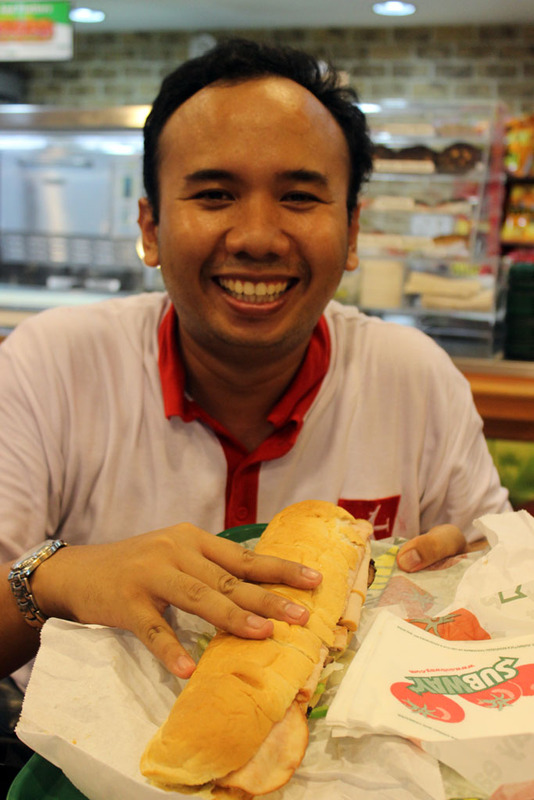 My friend Eddy called me on the phone and he invited me and my brother for a dinner around KL. So, after we took some shower, we went down to the lobby to meet Eddy. 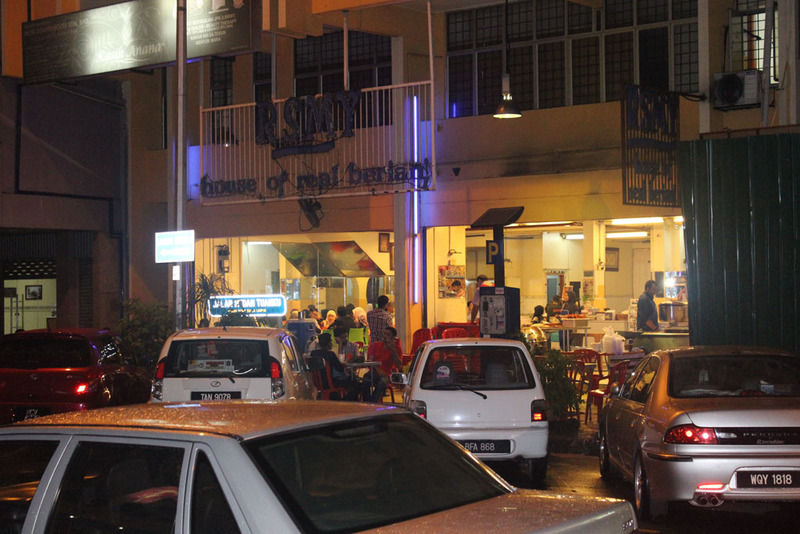 Just like on my previous visit in 2011, he invited me for a dinner. This time, he took us to one Indian restaurant. 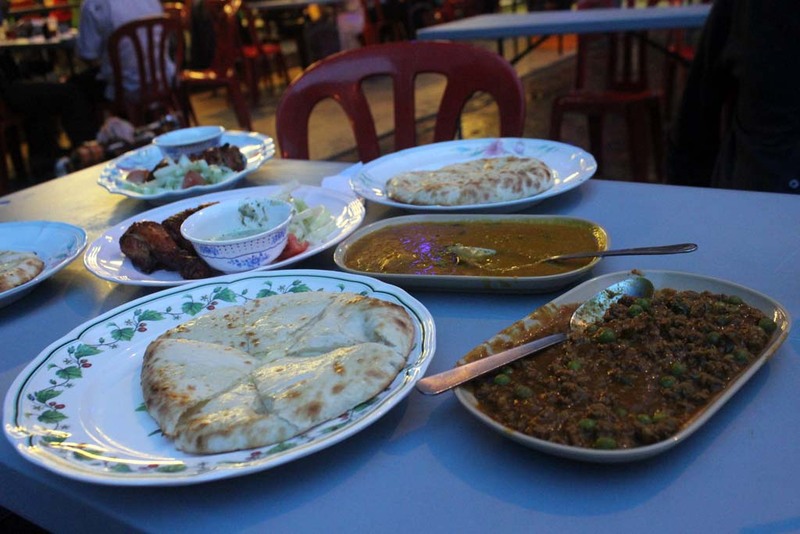 He said that the meal is not your usual Indian fare, because it is famous for its Roti Naan which is packed with mozzarella cheese. 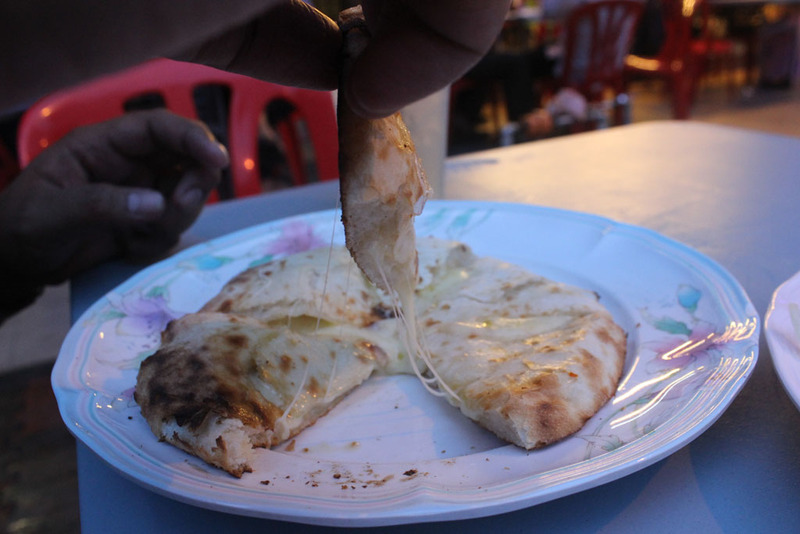 The cheese is even much more than those in Pizza Hut! The portion may look moderate for a big eater like me or my brother. 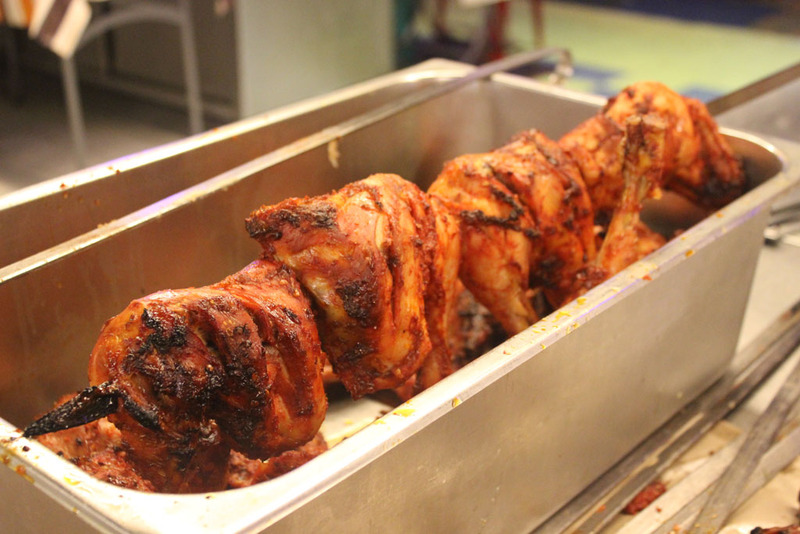 But after finishing one roti naan, plus several scoop of lamb sauce and chicken Tandoori, we felt that our stomach is full. 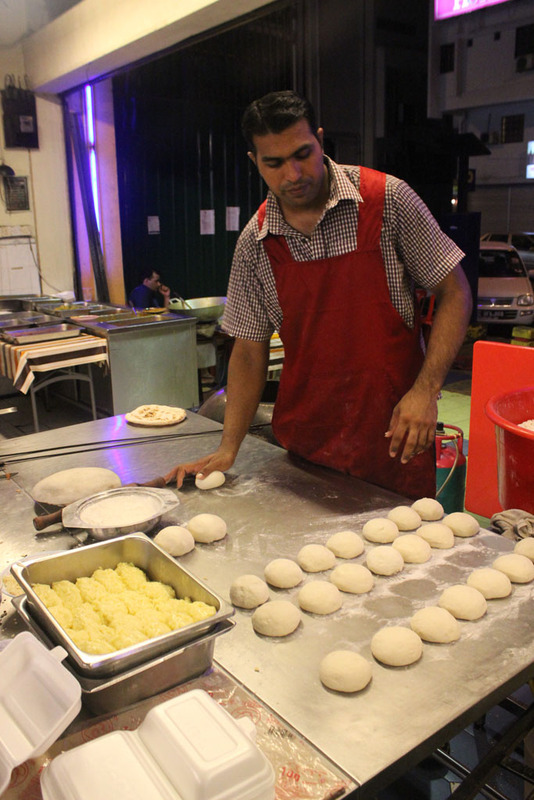 After we finished our meal, I took time to watch how this roti naan was made. 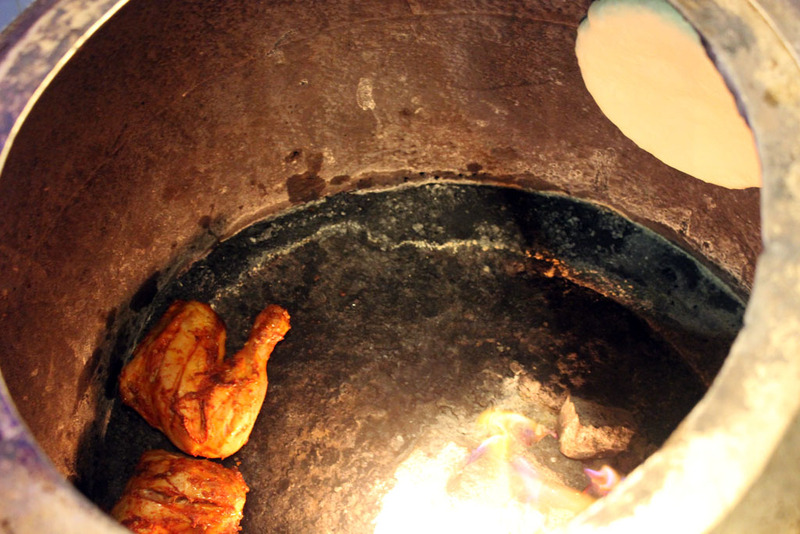 As well as the grilling of the chicken Tandoori. The griller as seen from the top. This is the restaurant where we took our dinner. From the restaurant, bang Eddy took us to look around Medan Tuanku area where he showed us some bargain shop, and also the popular place where we could buy branded camera (or camera accessories) at cheaper price. However, after we convert the price to rupiahs, we found out that the price is still more expensive than the one we found around Surabaya. so when is part 4 coming? I am still working on it. I’m so sorry that I’ve been ill for some time.